I am not a huge fan of turkey. For Christmas I’d rather have ham, for Easter, I’d rather have prime rib. For Thanksgiving, we’ve established a tradition of lasagna and cheesecake. Don’t get me wrong, I don’t hate turkey. If you’re going to invite me over for Thanksgiving dinner, don’t think you have to serve something different. Just don’t serve me mushrooms, brussel sprouts or liver and onions. Every other year my wife and I end up alone for Thanksgiving. With family in Portland, some in Phoenix, and shared custody of the boy, we stay by ourselves in Spokane on the even years. When we first got married we decided to try something different. Rather than make a big turkey dinner for the two of us, we, well mostly me, decided, “Why not make my two favorite things in the whole wide world?” Enter, lasagna and cheesecake. Our good friends, Tim and Tracy Nodland (owners of Spokane’s Nodland Cellars), were gracious enough to provide us with three of their newer, recently released and soon to be released wines. Not one to be very patient, I jumped at the opportunity to pair these three wines with our non traditional Thanksgiving meal. 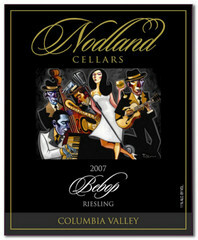 For more information on Nodland Cellars you can see my full interview with Tim and Tracy here. The Nodland’s make a Riesling only when the vintage is right. Tim loves the old world Mosul style Riesling full of petrol and minerality. I recall the 2005 Bebop having aged very nicely to display these characteristics. The 2008 is a very bright golden delicious apple color in the glass. A slight effervescence jumps out on the aroma. Further scents of slightly sweet peaches and tropical flowers add to the beautiful bouquet. On the sip, the Bebop strikes a nice chord or a hint of sweetness and a mild tartness. A little steely minerality spikes up on the mid-palate and the wine has a really good acidity which helps to cleanse the palate. The first release of the Nodland Cellars Rock-n-Roll series label, Bad Attitude, has been a huge success. Tim and Tracy have only made one red wine in their previous vintage releases. 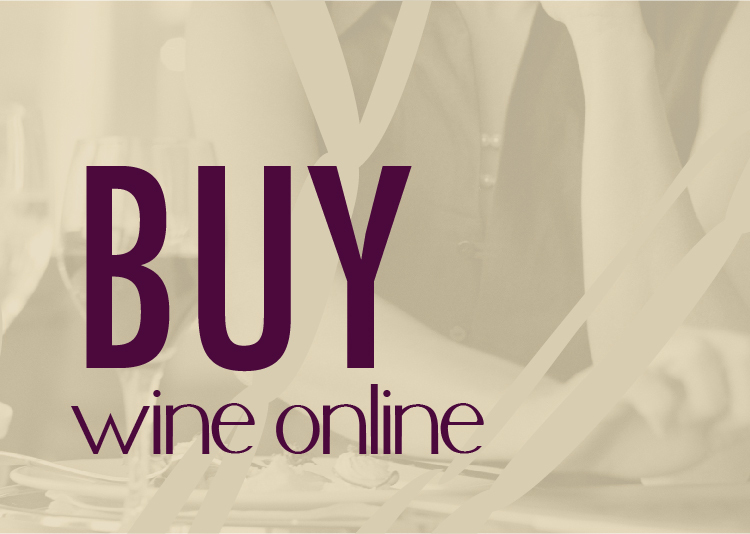 At $35, their traditional Bordeaux Red Blend can be out of reach for most people’s every day drinking wine. The Bad Attitude uses the same great Seven Hills fruit but rather than aging the wine in $1200 French oak barrels, the wine is aged in $500 American oak barrels. 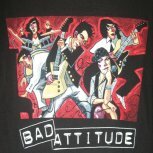 This year’s Bad Attitude is a blend of 75% Merlot and 25% Malbec (two of the more amazing grapes grown in Washington). The swirl showcases the light characteristics of Merlot with a fairly translucent color. 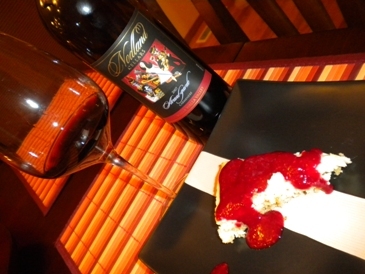 The wines aromas begin to showcase their rock-n-roll attitude right from the beginning. 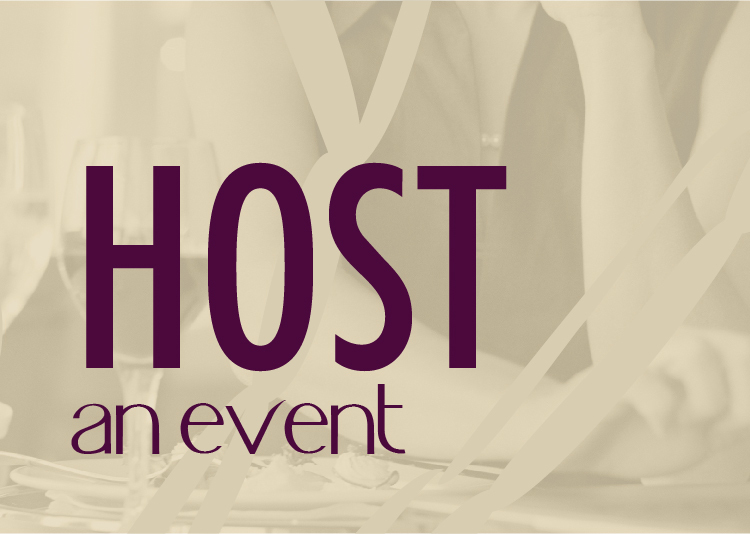 A huge power chord of vanilla, blueberry and charcoal reverberate from the glass. In the mouth the wine is also very gentle. This wine reminds me more of a gentle Over the Hills and Far Away rather than the driving Black Dog (bonus points for those that get the reference). In the mouth you can feel the use of American oak. For me, it’s nicely integrated and I like the play of the overly cooked marshmallow, vanilla and graham cracker. At $20, the Nodland’s have a number one single on their hand. 4/5 Instant Classic! Carmenere is rarely used, and when it is, it is used as a blending grape. The original traditional Bordeaux blends included Carmenere, but it has since been mostly neglected. Nodland Cellars uses Carmenere in their Red Blend release. For 2007, they held back a small portion to be released as a 100% Carmenere, a showcase of the varietal. The Avant-Garde is being released on Friday, December 3 at the Nodland Cellars tasting room at 11616 E Montgomery 5:30-8:30. Enjoy a sip and a special discount. As a vegetarian I’ve established my own non-traditional tday as well and I’m happy to say a butternut squash lasagne always graces the table. Love your idea although for different reasons. 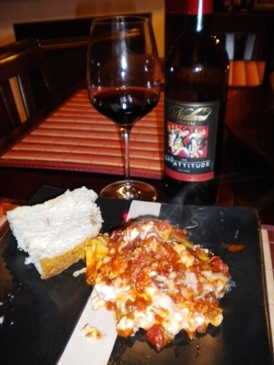 I shall send u the recipe if you like!